Where boats and pirogues are available for hire. 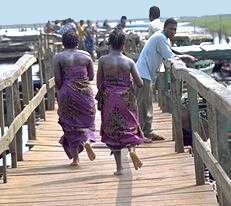 Abomey-Calavi, 11 miles North West of Cotonou. to get on the lake. 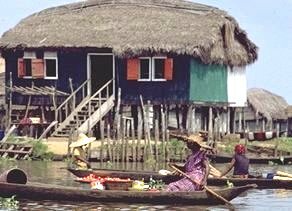 Called an African Venice because fifteen thousand people live in the dwellings that are perched on piles in the lake, Ganvie is a lot more to the Tofinu peoples. "the collectivity of those who found peace at last".